These Covers are perfect for Scrapbooking, Sewing craft, Decorating Holidays, Home Décor and more! Looking for a Little Something to Give Away? Then these great original Covers are the ideal Gift idea! The Size of the original Covers is perfect for a small Side table, for a Piano or even a Coffee Table, But also for Scrapbooking, crafts, Card-making, Weddings, Inlay diary, sewing, Home Décor, Collecting Albums, dream Catchers and more. 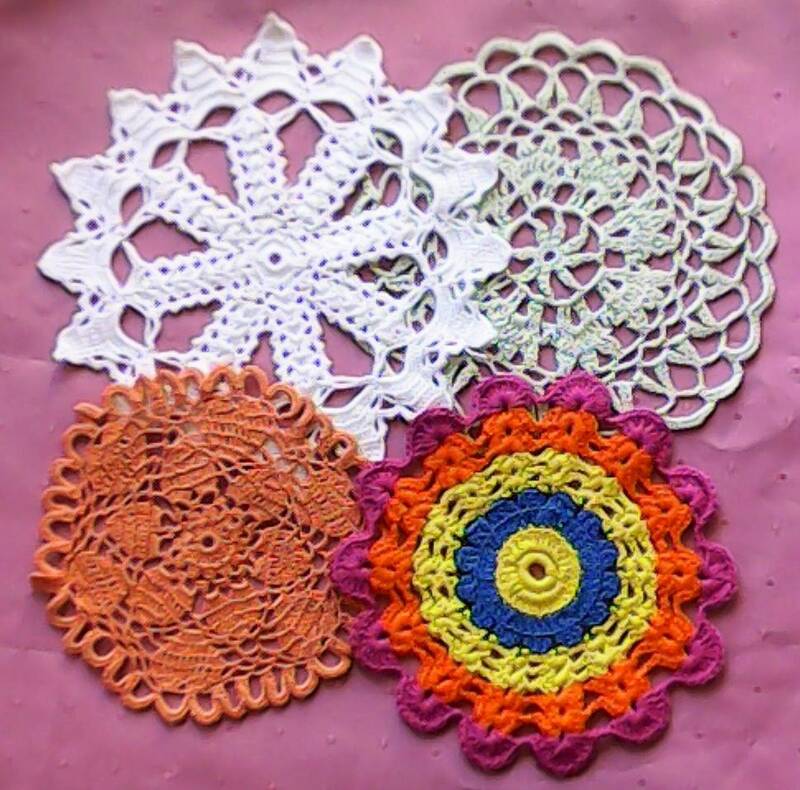 Each of the crocheted Lace Ceilaces is unique. The original Covers were made in a smoke-free and animal-free Environment.